Vampire bats, unlike the vampires of legend, are small creatures, just 7-9 cm long. The Common Vampire Bat is the most common of several vampire species. Its wingspan is between 35-40 cm and it weighs 30-40 grams. Males are usually a little smaller than females. Its adaptations to drinking blood include not just extremely sharp incisor teeth, but heat sensors on its nose, as well as strong hind legs and thumbs that help the bat climb around on its prey and take off after feeding. The fur of the vampire bat varies in colour, through golden or reddish brown down to darker greys. The most famous aspect of the vampire bat’s behaviour is of course its diet. Rather than sucking blood, it makes an initial incision with its incisors and then laps up the blood. The incisors are so sharp that the animal being fed from is unlikely to feel the bite. The bat’s saliva contains a substance that turns clotted blood back to liquid again, giving it longer to feed, but it rarely kills its prey and is unlikely to feed from a human. Instead these bats tend to target the abundant herds of livestock in Central and South America, and cause problems for farmers by spreading disease. They also have a complex social life. Females generally give birth to a single offspring each year and feed it milk for the first two months of life, introducing regurgitated blood alongside the milk when the infant is one month old, and taking it hunting when it reaches four months old. As well as infants, adult bats sometimes feed on regurgitated blood. Vampire bats can starve to death in just three days if their hunting is unsuccessful and adult bats will regurgitate for each other. Unrelated individuals create what seem to be long-term relationships, with the same bats feeding each other on many different occasions. The Common Vampire Bat has a wide range across Central and South America, from Mexico down to Argentina. 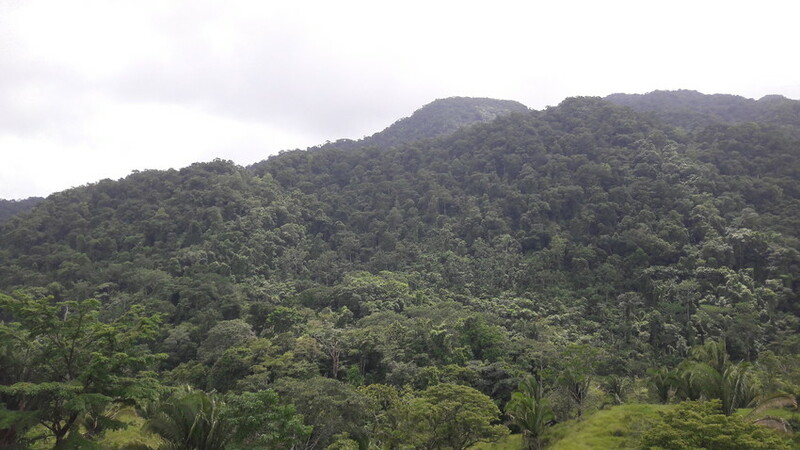 It lives in hugely varied habitats, from desert to rainforest, and up to 2,400 metres above sea level. Like all bats, it needs a daytime roost and roost sites are usually used by 20 to 100 individuals. Occasionally much larger roosts of up to 5000 bats are discovered. Caves and tree hollows are the favourite roost sites, and sometimes the bats will use old wells and abandoned buildings. The digested blood in the droppings often gives these roosts a strong smell of ammonia. 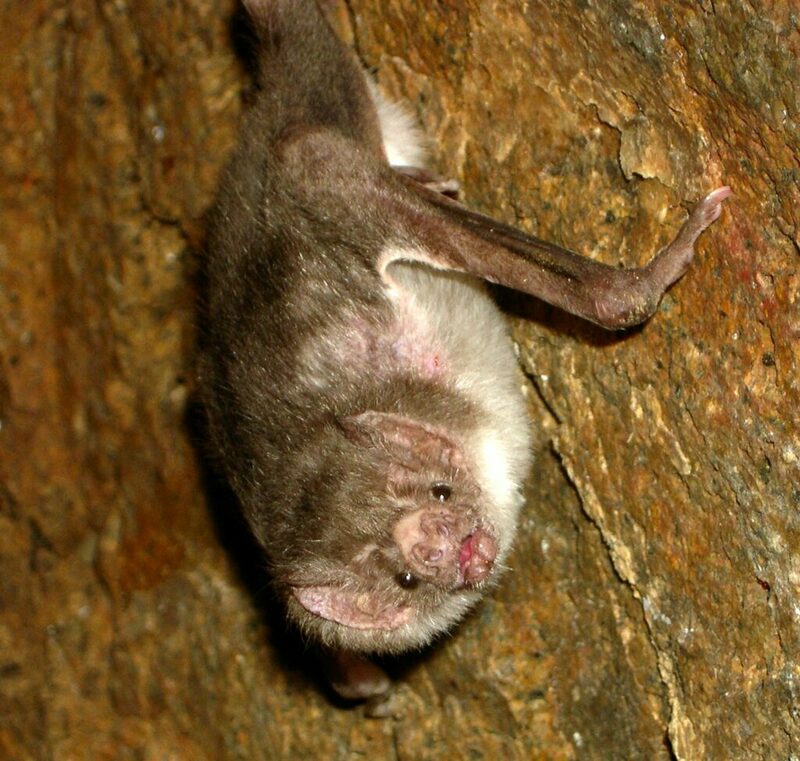 The IUCN Red List of Threatened Species classes the Common Vampire Bat as Least Concern as it has large, stable populations throughout Central and South America. However, there are local threats to the bat as it is an agricultural pest and can be an important factor in the spread of rabies. Methods used to control the bats include anticoagulants. In some areas, widespread persecution of bats has resulted from attempts to control vampires, leading to the destruction of huge numbers of cave roost sites. Many beneficial insect-eating species of bat suffer in these purges and some of these species are far less widespread than the vampire bats themselves.